Indie Retro News: Pila - Top down humorous action puzzle game lost and found - PC/MAC Release Soon! Pila - Top down humorous action puzzle game lost and found - PC/MAC Release Soon! In the late 90's childhood friends Kasper Kabell and Jon Auring Grimm were about to release a charming action puzzle game with humorous overtones as 'Pila' for MS-DOS, but sadly after concerns and fears, the game never got published, at least until now. Thanks to renowned retro gaming guru Bobby, who owns the combined retro gaming and toy store, barber shop and arcade in Copenhagen, Ruben og Bobby. Pila was re-discovered in 2016 and towards the 28th of April will be coming to both Windows and Mac! Originally developed for MS-DOS in Turbo Pascal and Assembly Language using no game development tools, with graphics designed in Deluxe Paint. 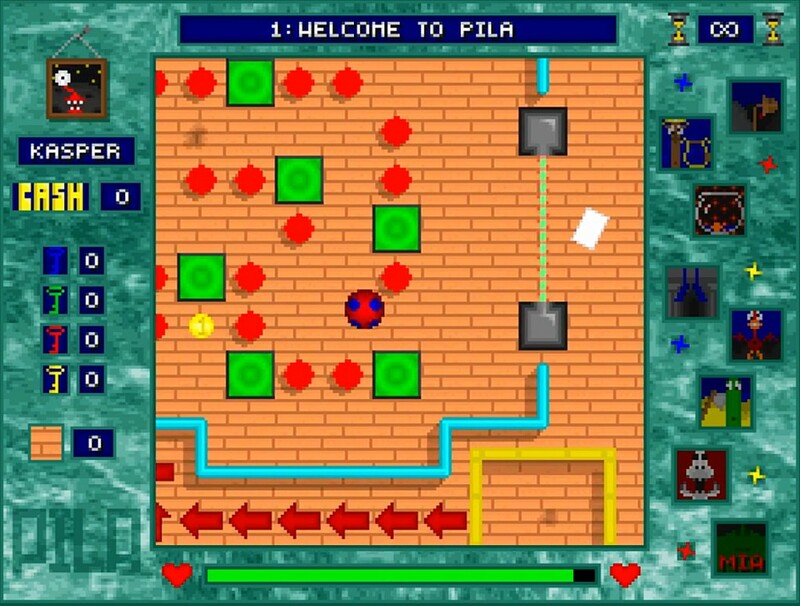 Pila is a top-down view puzzle/action game with an abundance of diverse gameplay elements and great level designs. In it, you play as a rather cute alien that must steer a high-tech Pila ball suit through labyrinthine courses, in an elimination race with other aliens for the grand prize: a lifelong place in the Emperor's sulfur mines. The game features fun for all the family gameplay, laughable voices, smooth physics and precise controls that will make you feel like you're playing an addictive DOS classic!